Maintaining your lawn is very important, same goes to investing in a good lawn mower in order to maintain the beauty of your garden landscape. 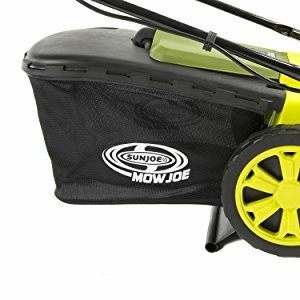 Among the various lawn mowers available in the market, we found that most Sun Joe Lawn Mower reviews have been generally positive. One of the best out there is the Sun Joe MJ403E, which we will be reviewing in this article. Here is a quick recap on what we think of this mower. Why a Lawn Mower Is Important? A lawn mower is a machine that cuts the grass in your yard as evenly as possible. There might be an array of tools available for lawn-care, but a lawn mower manages to be one of the most crucial ones. After all, the length of the grass governs whether your garden will look maintained or wild. If you leave it unattended, you will find that the grass will grow uncontrollably, thereby giving your house an unappealing look. This Sun Joe MJ403E is an electric lawn mower. The product has a yellow exterior and features a weight of 31.5 pounds. 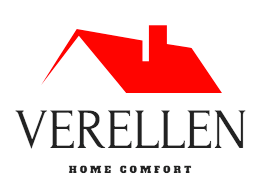 It has been successful in delivering an array of benefits. It is extremely easy to use and moves around with ease in your garden too. This is achieved by the way the product is constructed along with its weight. Normally, electrical lawn mowers tend to be light weighted. While this enhances ease of use, it also hampers usability itself. The fact that this model is able to find a balance between being too bulky and too light is a benefit many of you might appreciate. Moreover, Sun Joe customer services are excellent. When buying lawn mowers, quality customer services are a must. After all, what will you do if they break down? 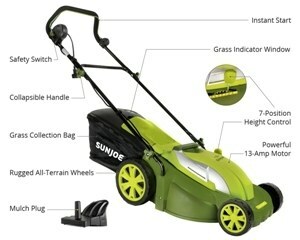 Are you thinking of getting your hands on the Sun Joe Mow Joe MJ403E? If so, here are all the major things you need to know about the product. Analyze the features and assess whether the product is worth it. This model does not come at a low cost. Most lawn-care products are expensive and a lawn mower is no different. This is why most users wish to look for cost-effectiveness in other ways. 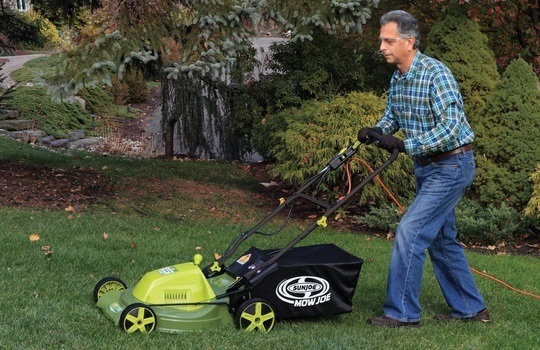 This Sun Joe mower delivers cost-effectiveness via its 2-in-1 design. 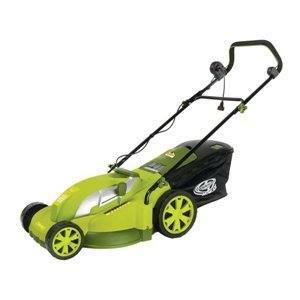 Not only can you use it to mow your lawn, but you can also use it to mulch too. These two functions are available through the design of the product which includes a Sun Joe mulching blade. The design allows it to be easily convertible from one function to the other. All you need to do is remove the included rear bag and add a mulch plug to it. By doing so, you ensure that rather than collecting the cut grass in a bag for disposal, it is recycled backed into the ground. This leads to effective fertilisation of your lawn. One of the worst things about lawn mowers is that they emit a lot of toxins into the air. This is especially true for manual types. With the technology used in this model, it will successfully avoid emissions of all types of gases, oils, and carbon. This is mainly delivered through the electrical operation of the product. The 13-amp motor is operated through a button and only works if the battery is fully charged. If you are interested in other alternatives of the electric lawn mowers, check out here. At the end of the day, the best lawn mower is one which can deliver finely cut grass as quickly as possible. After all, what would be the use of any additional features if the lawn mower can’t perform the basic function it is supposed to? In one pass, this product is capable of mowing a path which is 17-inch wide. Moreover, you can tailor the height of the grass cuttings as per your liking. While some people prefer finely cut grass, others wish for a little height. This is an adjustable function. This mower caters to the need of all by delivering a 7-position height adjustment setting. This is delivered with the help of a lever. It allows you to vary the grass length from 0.98 to 2.87 inches. Whether it be aesthetics or functionality, the product is designed keeping it all in mind. The fact that it weighs 31.5 pounds achieves the sturdiness the mower needs to deliver a stable performance. The front and rear wheels succeeds in enhancing the manoeuvrability of the mower. Moreover, it is equipped with a rear bag which has a capacity of 12 gallons. This element of the design allows the mower to remain usable across a wide area. 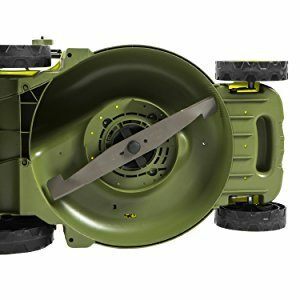 Therefore, you don’t need to worry about constantly stopping your mowing task just to empty the rear bag. The glossy yellow exterior of the product along with the blend on black handles gives it a stylish look. The black color is chosen so that it doesn’t look dirty easily. No, it is not self-propelled. You will need to manually operate it. However, due to its light weight and one-push system, it is very easy to move it around. You can also read our reviews on our top pick best self propelled lawn mower. 2. Are MJ403E Parts Easily Available? Yes. Sun Joe replacement parts can be bought from Sun Joe. The availability of Sun Joe parts extends the life of the product. Generally, battery and blades are the first ones to go. Sun Joe customer support can direct you regarding which parts to purchase and from where. 3. Can It Be Used on Thick Grass? 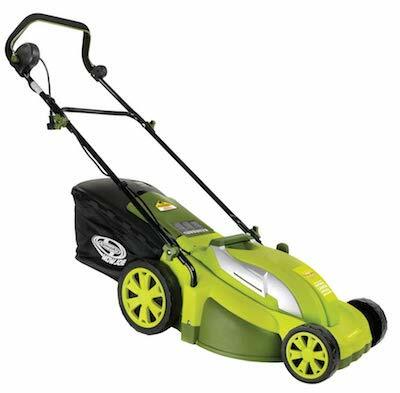 If you are patient about it, Sun Joe Lawn Mower can be used to cut thick grass as well. However, the speed of service is greatly reduced in this case. Moreover, the battery life might also get shortened due to it. 4. What Else Does Sun Joe Offer? Sun Joe doesn’t just deliver lawn mowers. Instead, there are various other lawn-care tools that are manufactured by the company. Overall, it claims to deliver all types of outdoor tools. Included products are snow blowers and tillers along with other manual tools. Our final verdict is, its durable, easy to use, and saves time in cutting wide areas in one go. You can read as many Sun Joe lawn mower reviews as you want, none will contend on its ability to deliver smooth performance. This is why we highly recommend this product and would give it a 4.5 out of 5. Select the Sun Joe MJ403E electric lawn mower. Beautify your yard!